Will they? Won't they? 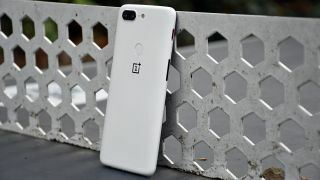 The saga of whether or not the OnePlus 5 and the OnePlus 5T will be upgraded to support Project Treble has had its twists and turns, but everything turned out alright in the end – OnePlus has confirmed that these 2017 handsets will indeed get Treble support very soon. For those joining us late, Project Treble is Google's latest initiative to get Android phones running more recent software more quickly. It cuts down the amount of work manufacturers have to do to get Android upgrades ready for their own phones, which in theory should mean speedier roll outs. Last year a OnePlus rep said the OnePlus 5 and the OnePlus 5T wouldn't be getting Project Treble support, meaning more work for OnePlus to get Android P ready for these phones, and a longer delay as a result. That position now seems to have been reversed. Project Treble is already built into the OnePlus 6 (perhaps one reason why it has access to the Android P beta), and has just arrived in the beta version of OxygenOS, now available for the two immediate predecessors to the OnePlus 6. The user interface of OnePlus' take on Android gets a few extra improvements and tweaks too. "After several months of evaluation and hard work, we finally found a solution to make this possible, and we are very excited to share this good news with you," gushes OnePlus in the release notes for the OxygenOS open beta. This doesn't guarantee that the OnePlus 5 and OnePlus 5T will get ultra-fast updates in the future, but it's a very good sign. If you don't want to risk beta software on your phone – very wise of you – then the same upgrades should be rolling out in the stable version of OxygenOS in the not-too-distant future.